SpaceX biggest launch to date will be their Crew Dragon spacecraft to the International Space station which will lead to manned crews to ISS later this year. SpaceX has a lot riding on this launch happening in the early morning hours this coming Saturday. I am all packed and headed to Florida for business and the Podfest conference next week. The show will be off this coming week so just beware of the schedule. Why do phones have short battery life? 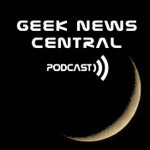 The post SpaceX Biggest Launch to Date #1350 appeared first on Geek News Central.